Your Top 10 Questions About Starting En Pointe! How Old Do I Have To Be To Start Pointe? Can I Go En Pointe If I Have Flat Feet? Why Do Dancers Get Blisters On Their Toes ? Does Pointe Work Cause Bunions ? 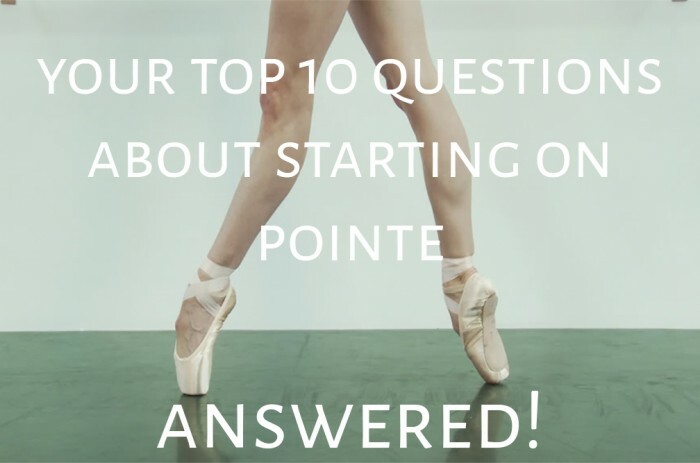 How Can You Avoid Foot Injuries En Pointe? Why Do You Have To Break In Pointe Shoes? Get your answers in our FREE download below.